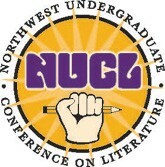 The Northwest Undergraduate Conference on Literature creates a professional atmosphere to promote student criticism and challenge student critics. NUCL gives undergraduate and advanced high school students an opportunity to present their own scholarly papers or creative works in organized panels of their peers. Students are able to share and discuss their knowledge through these presentations, and are encouraged to participate in the discussion of fellow NUCL papers. Aside from presenting their papers, and listening to papers written by their peers, students are invited to attend NUCL’s keynote speakers, who are noted academics and writers in the field of literature. NUCL is open to college and university students and honors or advanced-placement high school students. Conference sessions include 3-4 papers, plus student respondents facilitating discussion. NUCL invites 15-18 minute papers embodying your own, fresh response to an English or foreign language literary text, or texts (we will not accept papers longer than 10 pages in length and papers must be written in English). Consult “Submission Information” for more details. NUCL invites panel proposals: submit to us 3-4 related papers from your group. While the primary emphasis of NUCL is on critical/scholarly writing, NUCL also invites student poets and essayists to submit 1 essay, or 5-7 poems. Those chosen will read their work in a few sessions reserved for original poetry and personal essays. On behalf of NUCL, The University of Portland offers prizes and a scholarship for the best papers and works submitted, including the “Brass NUCL Award” for the hardest-hitting paper. Dr. William Deresiewicz is an award-winning essayist and critic, a frequent college speaker, and the best-selling author of Excellent Sheep: The Miseducation of the American Elite and the Way to a Meaningful Life. He taught English at Yale for ten years and at Columbia for five. His essay “The Disadvantages of an Elite Education” has been viewed over one million times. 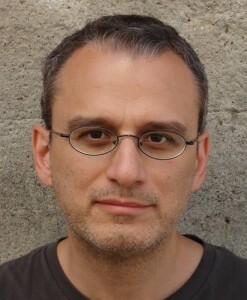 Deresiewicz is a Contributing Writer for The Nation and a Contributing Editor for The American Scholar. His work has also appeared in The New York Times, The Atlantic, Harper’s, The New Republic, The London Review of Books, and elsewhere. He has won the Hiett Prize in the Humanities, the Balakian Citation for Excellence in Reviewing, and is a three-time National Magazine Award nominee. Come back to this website frequently for up-to-date information about NUCL, the conference speaker, deadlines, and registration. Or please contact conference chair Molly Hiro at nucl@up.edu.